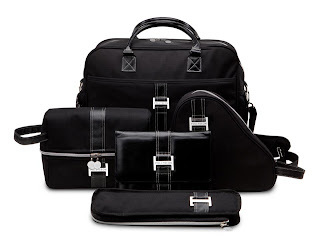 This week we have another great giveaway, this time from the luxury travel bag company Pollyseon. They have a ton of stylish but practical travel bags for all of your beauty products. I recently received the All Access Traveler bag and I LOVE it. I was surprised by it's size at first, it was smaller than I expected. But what surprised me even more was how much stuff it could hold! It's extremely spacious for how big it is, which is perfect because it wouldn't take up a lot of room in a suitcase, but it can still hold a lot of stuff. It also has convenient handles on the outside, and one on the inside so you can carry it easily while it's open too. You can see it here. Perfect for traveling during the holidays, year round, or even for a Christmas gift! 1 - Follow Hair and Makeup by Steph on YouTube. 3 - Leave a comment on this blog post with your first and last name. Contest ends on Sunday December 1st at midnight. Pollyseon is the brainchild of an engineer, Polly J. Shrewsbury and hair stylist, Judy Seonkyung Im. The line is classically designed for a sophisticated style that transcends time while emphasizing on both innovation and style to support getting ready on the go. The brand has recently been featured in USA Today and works with top beauty companies and professionals such as Estee Lauder and Aveda.